Easy File Shredder can securely delete individual files and clean-wipe your hard drive’s free space to prevent the recovery of already deleted files. Shredding the free space does not affect any existing files and is completely safe.The program has a very intuitive user interface that makes shredding sensitive data an easy three-step process. 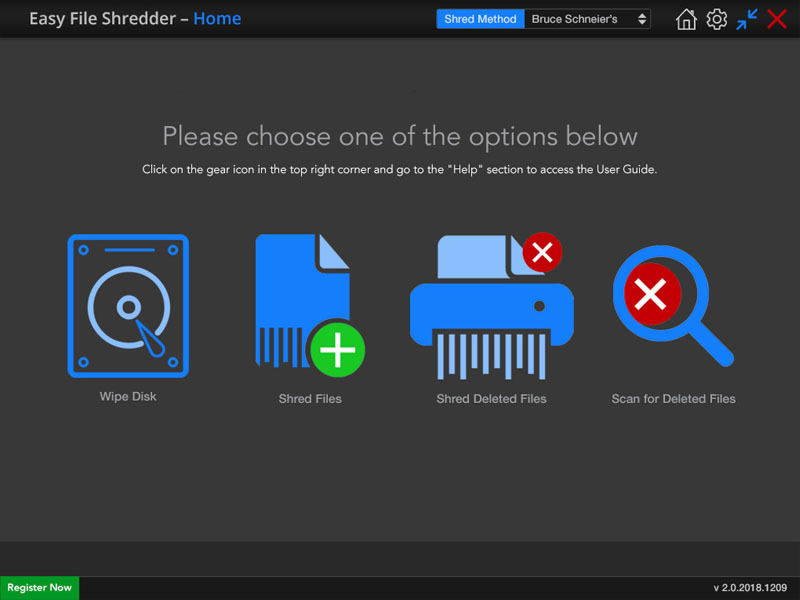 All you need to do is launch the program, select the files to shred and use one of Easy File Shredder’s algorithms. Other features include multiple preset shredding methods, custom shredding methods, system files protection and fool-proof warnings before any files are deleted.